If we were asked to sum up what American Audio is all about, we’d say: good sound quality, useful features, and affordable prices. A great example of this is the new ATX-15W, a 15” 2-way active speaker that offers a big sound, wireless connectivity and an integrated mixer, all for an incredibly low price. 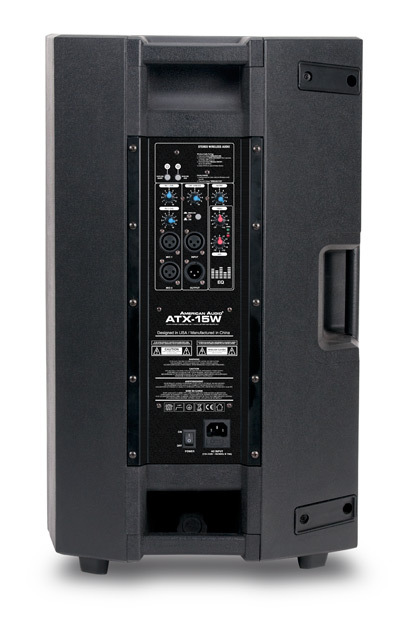 Boasting 1000W of dynamic power and a frequency response of 50Hz – 20KHz, the ATX-15W is ideal for a wide variety of sound reinforcement applications. It features a 15-inch steel frame woofer paired with a 1.36-inch titanium diaphragm tweeter to deliver rich, deep bass sounds as well as crisp, clear high frequencies. It’s internal Class A/B amplifier system is perfectly paired to the speaker arrangement to provide optimum output while minimizing the overall weight of the unit. 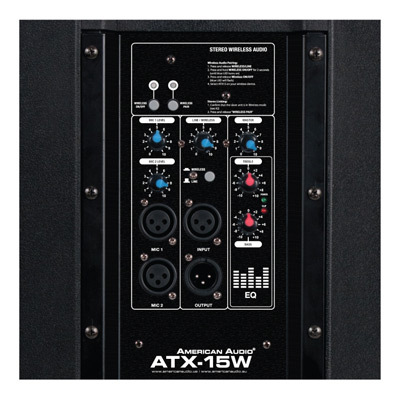 Offering maximum flexibility, the ATX-15W is equipped with a versatile 3-input in-built mixer. This features two separate XLR mic inputs, each with their own dedicated volume control, as well as a line input XLR which also has a dedicated volume control as well as a corresponding output XLR to allow the connection of an active sub or additional speaker. A master volume knob is also included, alongside Treble and Bass EQ controls (+/- 10dB), to allow full control over the overall audio output. The speaker is also equipped with a digital wireless audio receiver, which allows it to be paired with a computer, mobile phone or tablet for cable-free music playback. The system can also be used to pair two ATX-15W speakers so that the Line audio input to one unit is wirelessly connected to a second, making for easier setup of large multi-speaker audio rigs. With a sleek and understated design, the enclosure itself is made from tough molded Polypropylene. It features rubber feet on the base of the unit, to allow it to stand directly on the floor or raised up on a sub, stage or riser. It has also been designed with one side angled so that it can be used as a stage monitor wedge if required. The cabinet is fitted with a built-in pole mount socket for use with a tripod stand, for example American Audio’s SPS-1B Speaker Stand or the new Color Stand LED (light up speaker stand) – and is also flyable for larger event setups and permanent installations. It features three molded handles – top, bottom and side – which make lifting and carrying the speaker as easy and comfortable as possible. At 39.7 lbs. / 18kg., it is also extremely lightweight for an active 15” cabinet, and its compact measurements of 26.97” x 16.66” x 15.08” / 685 x 423 x 383mm make it easy to transport and store. Thanks to its powerful output and easy portability, the ATX-15W is ideal for use by bands, DJs mobile PA and mobile entertainers. It’s flexible in-built mixer and wireless connectivity also make it perfect for rental companies, while its low price makes it suitable both for beginners on a budget and established pros looking for a reliable backup system. Embodying the American Audio ethos of audio quality, flexibility and affordability, the new ATX-15W sets a new standard for high-power, low-cost, active speaker enclosures. 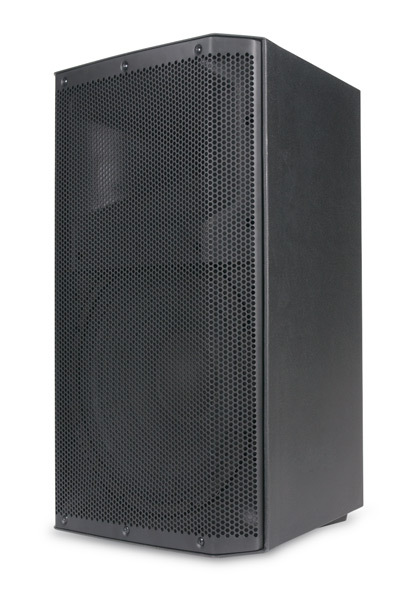 If you’re in the market to buy speakers for live music, recorded music or speech, this powerful, versatile and economical active cabinet may be just what you’ve been looking for! The ATX-15W is available now from ADJ USA with a retail price of $249.99.